"Providing quality dentistry in a comfortable friendly environment where your comfort, concerns and goals are my priority." Listening to your needs and getting to know you and your family are my highest priority and bring me the most joy. 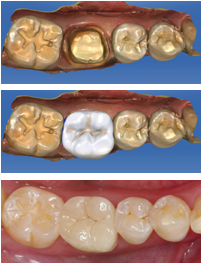 Same day crowns using precision computer technology for painless digital impressions and accurate beautiful fabrication. We use state of the art technologies in our surgeries allowing for quicker healing, less pain, and a more accurate surgery with better results. Best dentist technology in Hood River. Dental Implants in Hood River and Lincoln City. Wisdom Teeth Extractions. Same day Dental Crowns. Painless Dentistry. Computer dentistry.